Home » Posts Tagged "Baumgardner"
Conference Committee Continues On School Finance- Until House Member Walks Out. Rep. Kristey Williams, House K-12 Budget Chair and other conferees. Conferees gathered shortly after 9:00 this morning to continue discussion on school finance – or actually on school policy proposals. The Senators came in with a counter to the last House proposal. The House had offered changes to their policy on the use of some at-risk funds. The Senate counter-offer rejected the bullet listed above, accepted the second, and added language to the third that would required programs to have been peer reviewed. The Senate also accepted language extending the Dyslexia Task Force. The Senate has so far rejected the House language ending support for bilingual students after seven years and instead suggested that the issue be revisited after an LPA study that is already scheduled and will file a report in January of 2022. During the discussion, Representative Kristey Williams (R-Augusta) asserted that schools have no incentive to help bilingual students progress and that this limit was needed to incentivize schools to help kids. She also admitted that there was no data to indicate kids were staying in bilingual programs beyond the time needed to master English. The Senate also suggested that instead of calling for a study of graduation requirements with the goal of getting financial literacy and computer science accepted as math or science credits along with the goal of establishing an IT Commission, that both issues be handed to the Governor’s Education Council as study items. The House agreed to the language on peer-review of programs and the extension of the dyslexia task force but will take the 50th percentile language under consideration. As for the graduation requirements and IT Commission, Williams said it was likely the Governor’s Council would not give enough consideration to her issues and she questioned the membership of the Council because it had no legislators on it. The Conference Committee broke to go on the floor and agreed to meet again at 1:30 this afternoon. The committee reconvened at 1:30 and made a little progress when the House accepted the Senate’s offer on the dyslexia task force and peer-review of instructional programs for at-risk students. 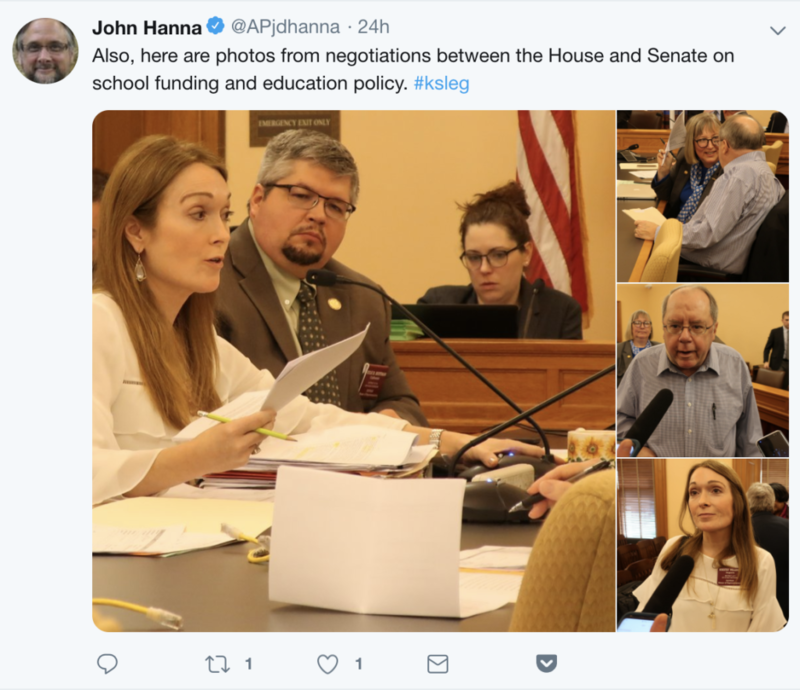 On the bilingual issue, the House agreed not to change the funding until after the LPA study was released but asked for language requiring the KSDE to collect more data on bilingual students and programs in the meantime. The House also agreed to drop the IT Commission but to still require KSDE to study graduation requirements, doing so in conjunction/coordination with the Governor’s Education Council. Finally the House dropped some language on reporting local sources of revenue though still reporting funds spent on litigation and the number of virtual students in the district. 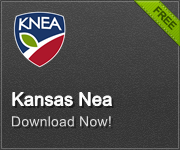 All accountability reporting to the public would be done via a link to the KSDE website. They broke and will meet again at 4:30. It started with offers and ended with anger and a walk-out. The Senate came with another offer – one that included an agreement by the LPA to move up the bilingual study, giving them data to make a decision in 2020 instead of 2022. They also accepted the House’s last offer on at-risk expenditures. But they held their position on the other not-yet-agreed to policy pieces in SB 16. After some back and forth – with Baumgardner educating the conferees on a number of issues. First, Baumgardner noted existing bullying hotline that could be widely promoted instead of creating a new one. Next, she explained why the House proposal on transportation isn’t feasible (Baumgardner had clearly done some detailed research on this one). Finally, she spoke of the reality of bilingual education, specifically why some kids need more time to master English. After her explanations were complete, the wheels seemed to come off the bus- as it were. Williams became visibly more angry and complained that the KSDE and others were not sharing information with her that should have been brought to her attention during committee hearings. Williams was clearly planning to end the meeting when Baumgardner announced that the Senate had a funding offer. The Senate offered Senate Bill 142, the inflation factor proposed by the SBOE and the Governor and passed by the Senate 32 to 8, language on special education funding that would retain 92% as a policy goal of the state, and accepting some accountability suggestions from the House. Baumgardner and Hensley did an excellent job explaining the importance of the 92% to parents of special needs children and their teachers. “They would feel like an afterthought,” Baumgardner said. Williams also refused to commit to a meeting tomorrow telling Baumgardner only that if they could meet before 5:00, would they meet. Baumgardner asked her to consider the difficulty for those constituents who listen-in or attend the meetings but Williams would not budge. Instead, she abruptly left the room. Now, we are all left wondering what happens next. Governor’s Budget funds schools, health care, foster care… but does not raise taxes.